Marvel is making more money than Scrooge McDuck on its franchise and it has no plans of stopping anytime soon. 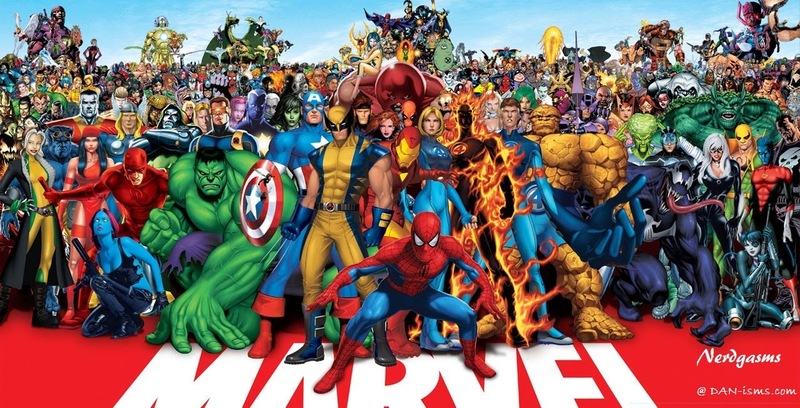 Here's Andrew Muench's rundown on Marvel's phased approach to releasing Marvel movies and what we can expect to come out soon. After the original Iron Man was a success, Marvel put into motion its notion of (the ocean?) a phased Marvel Cinematic Universe. Each phase is a chunk of the one massive overarching story as a cohesive section with ties to the huge Avenger's Infinity War that it's all been building up to. Phase one was everything up to the first Avenger's movie. Phase two is everything from there up to the next Avenger's movie (Age of Ultron) with Ant Man sneaking in behind it. Phase three begins with Captain America 3. 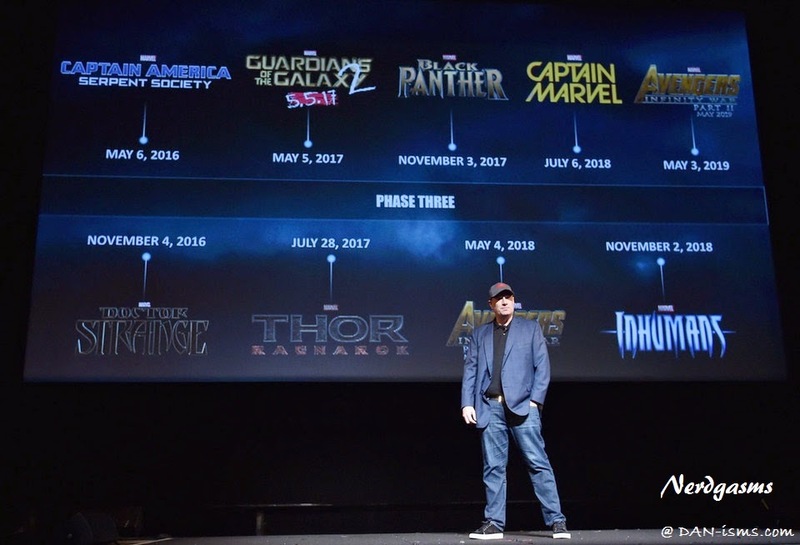 Marvel Studios President Kevin Feige hosted an event in Los Angeles today (10/28/14) confirming the next Phase of Marvel superhero movies and giving us some details and tidbits about each project. You'll note that one of the movies in the image is Captain America: Serpent Society - this was a joke, please ignore it. Here's what I can tell you about some of the others though. A sneak peak at Thanos' Infinity Gauntlet. Andrew resides in Virginia Beach, Virginia, within the greatest nation of them all—‘Merica’.